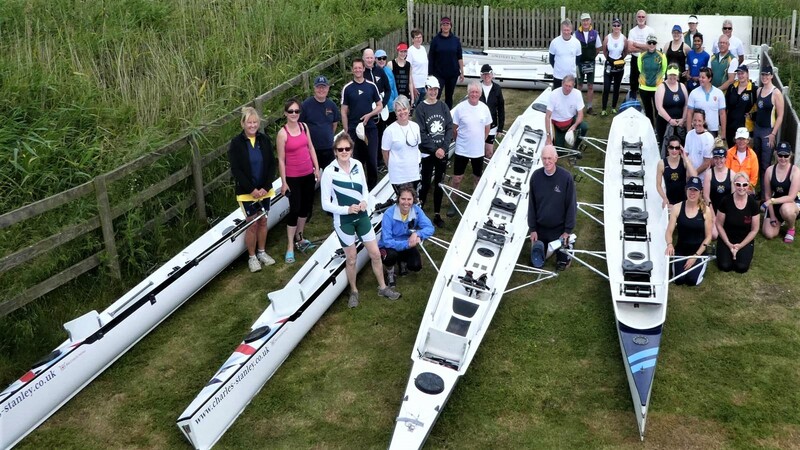 Thanks to support from Charles Stanley Wealth Management, rowers in the Thames and Eastern Regions are benefiting from two boat packages which are hosted at Goring Gap Boat Club and Isle of Ely Rowing Club. The locations were chosen because both are areas where Charles Stanley is most active. The Swift Freedom touring boats are available for the rowing community to enjoy in both regions and details on how to make use of them are below. Teresa Aslett from Isle of Ely BC said: “The boats have enabled the club to run their largest ever learn-to-row course with 16 participants enjoying a new found sport. As host club, Isle of Ely RC is keen to spread the word that the boats are available for other clubs to use in the region. “These boats are very much an asset to the Eastern Region,” said Aslett. Goring Gap BC is hosting the second equipment package, available to all rowing clubs in the Thames Region, to support their recreational rowing activities. The club has had enquiries about the boats from several clubs in the Thames Valley Explore Rowing League, including Eton Excelsior RC and Maidenhead RC. Over the summer, they were also used for the Weybridge Community Regatta and the British Rowing Tour. Email csboats@elyrowingclub.org.uk for details of boat hire. Contact boatbookings@goringgapbc.org.uk. Full details including hire charges are here.